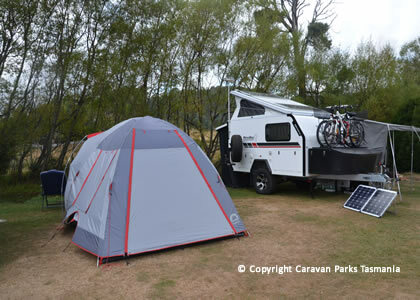 The Mole Creek Caravan Park, Camping Ground is located at Mole Creek 25 kms west of Deloraine. Mole Creek is a small rural town with a population of just 300 people. 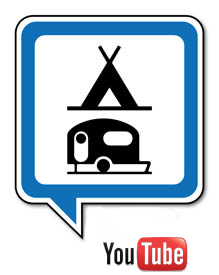 The camping ground offers 20 camp sites and 20 powered sites with laundry facilities. 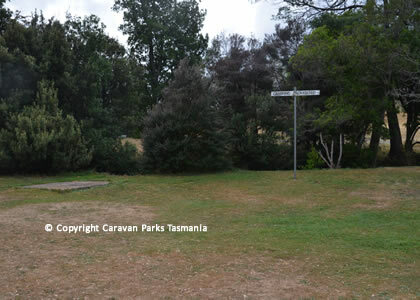 The campsite is flat and located beside Sassafras Creek and completely grassed with fires allowed along the creek-side (fire warnings permitting). 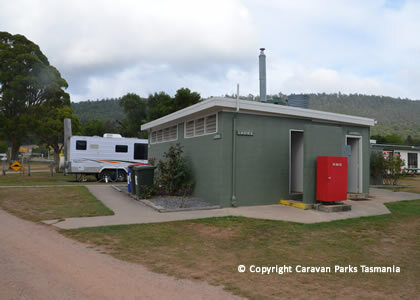 The Mole Creek Caravan Park offers: 20 powered sites, 30 unpowered sites, 1 onsite cabin. 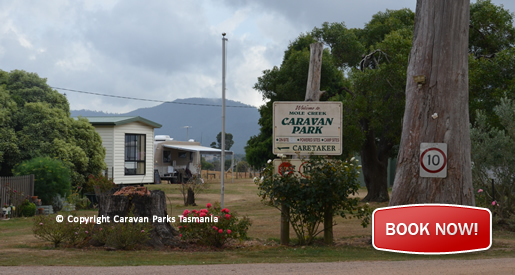 The Mole Creek Caravan Park is dog-friendly but pets must be kept under control at all times. 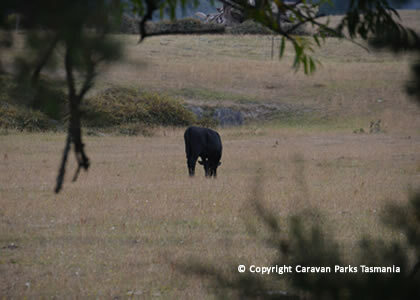 The owners are happy to provide visitors with firewood for the open fires that are allowed along the length of the creek. The park's disposal facilities are recycle friendly and the operators actively encourage guests to recycle. 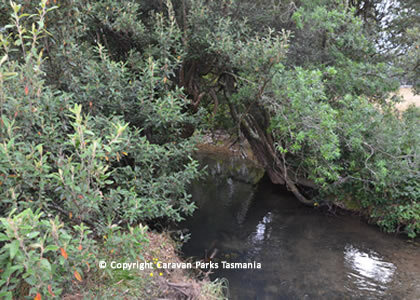 Mole Creek is a town in the upper Mersey Valley - central north of Tasmania. 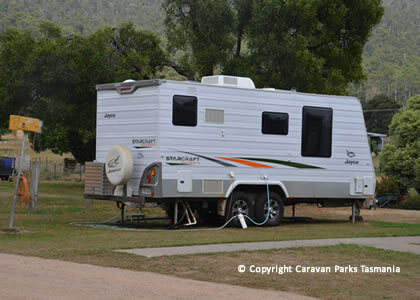 As at the 2006 census, Mole Creek had a population of just over 200 people. The town primary school also services the surrounding districts including Chudleigh and Caveside. The nearest high school and regional centre is Deloraine. Mole Creek is well known for its honey and accounts for about 35 percent of Tasmania's honey production including Leatherwood Honey (a noted monofloral honey) which is unique to Tasmania and sold internationally. 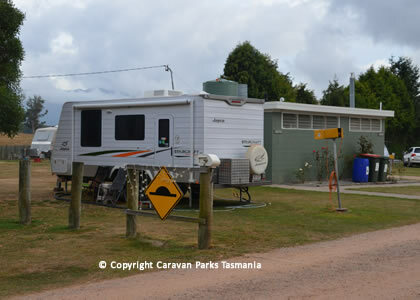 Trowunna Wildlife Park is a popular tourist attraction in the Mole Creek area and is known for Tasmanian Devil conservation and a successful breeding program. 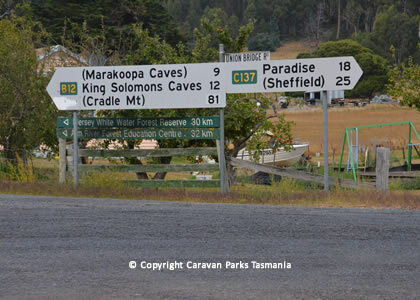 Mole Creek Karst National Park is also nearby, including the show caves Marakoopa Cave and King Solomons Cave, which are very popular with tourists. Mole Creek is located at the gateway to the Great Western Tiers. 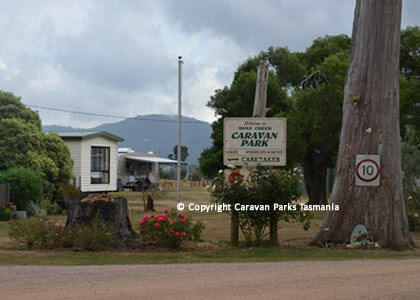 There are many attractions around Mole Creek; King Solomon and Marakoopa Caves, Trowunna Wildlife Park, many forest walks, bird park, honey factory, this is to name a few. 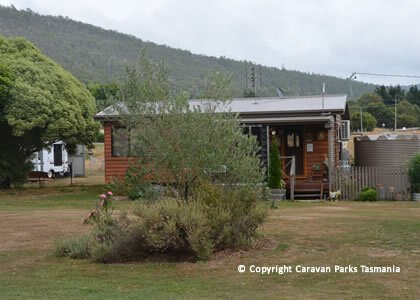 And just 30 minutes away is Sheffield the "town of murals", and the Mole Creek Caravan Park is onlu 1 hour away from the World Heritage Wilderness area of Cradle Mountain.